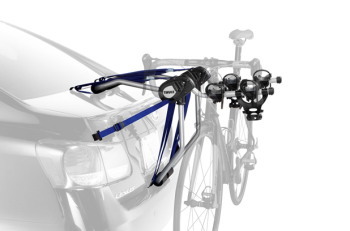 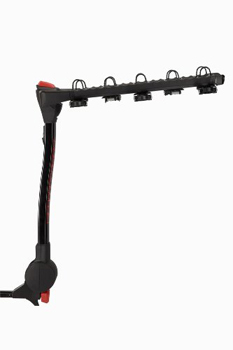 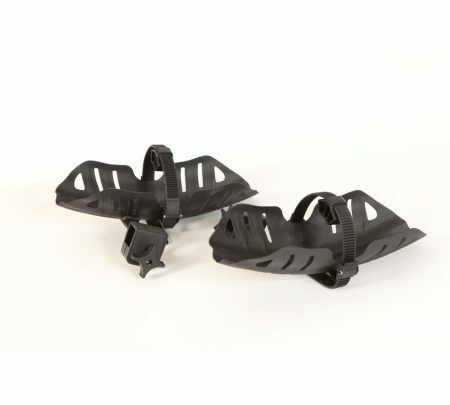 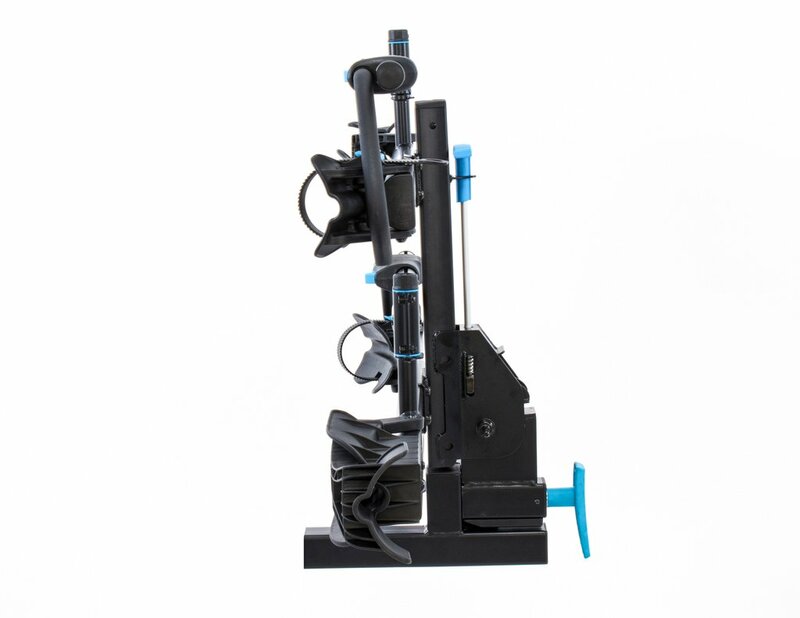 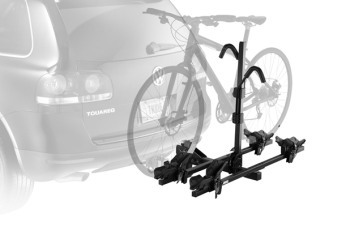 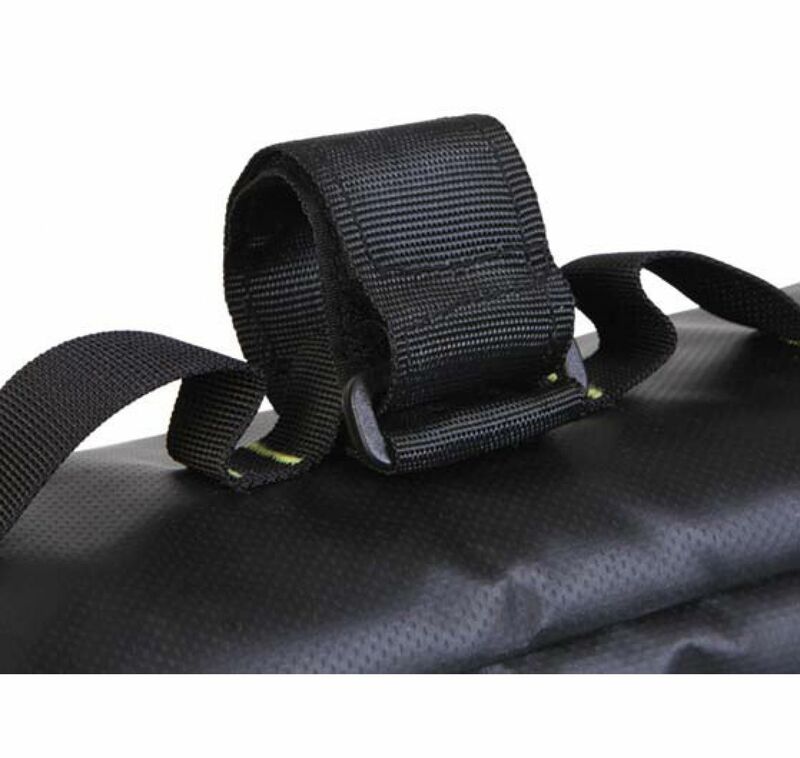 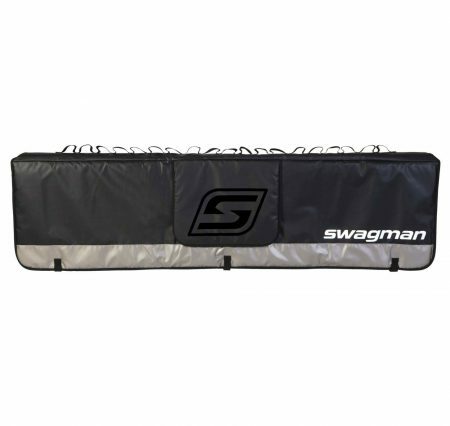 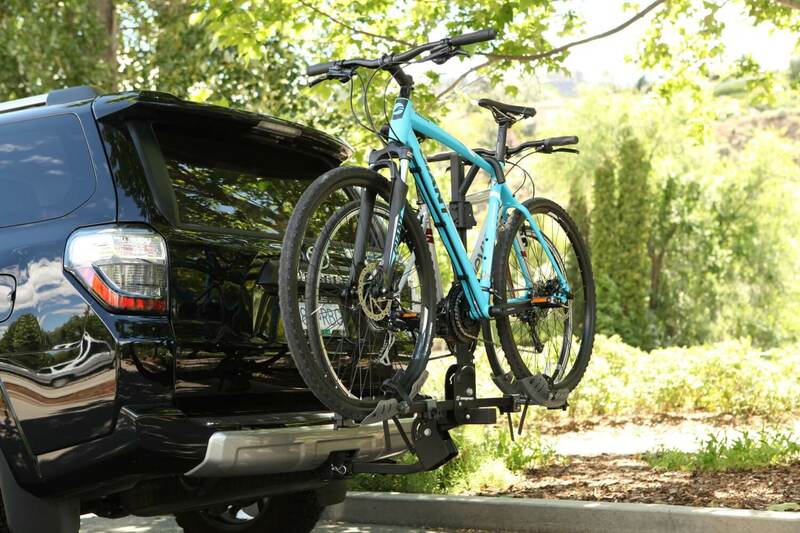 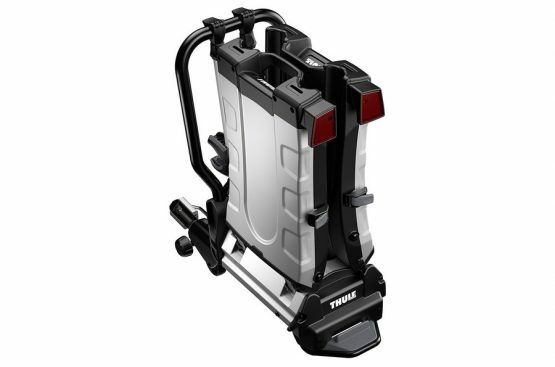 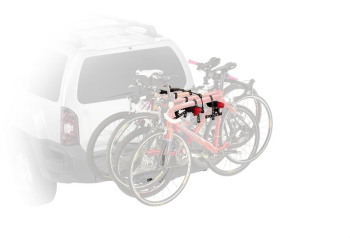 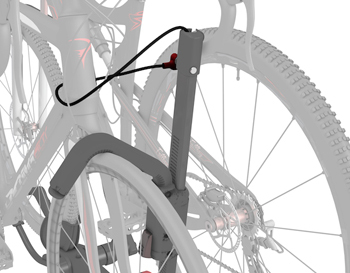 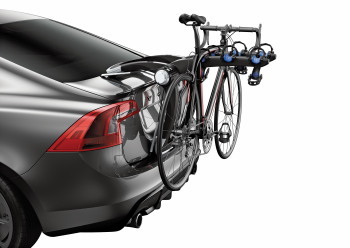 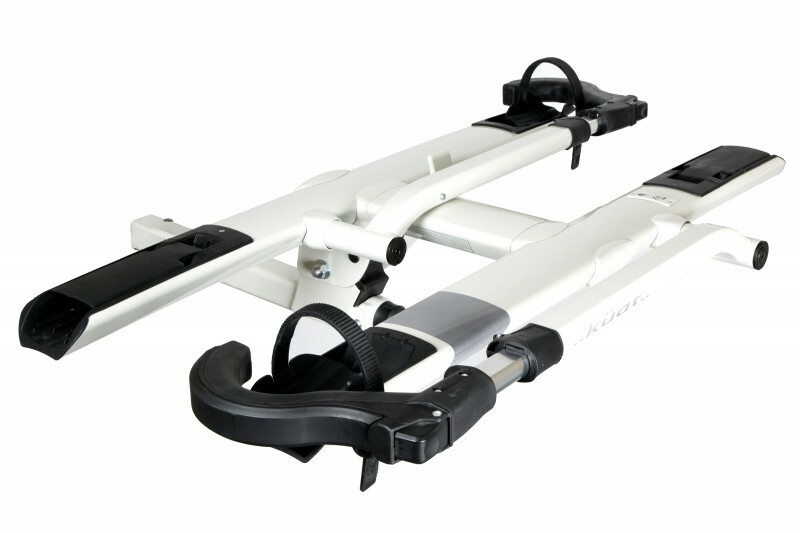 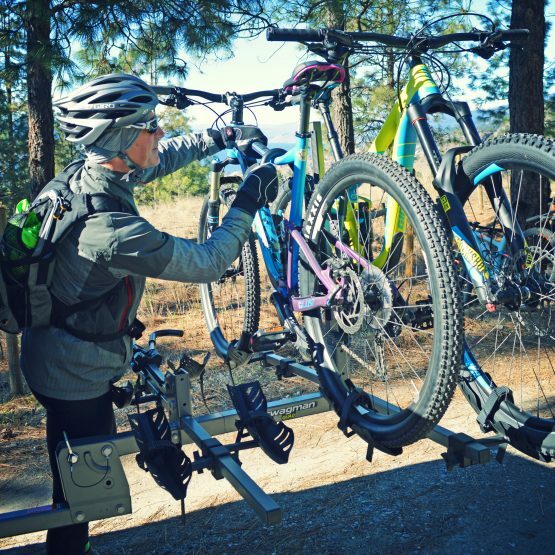 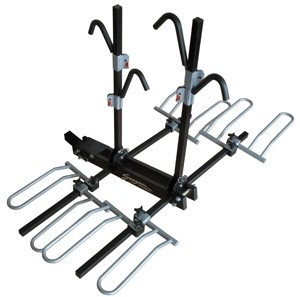 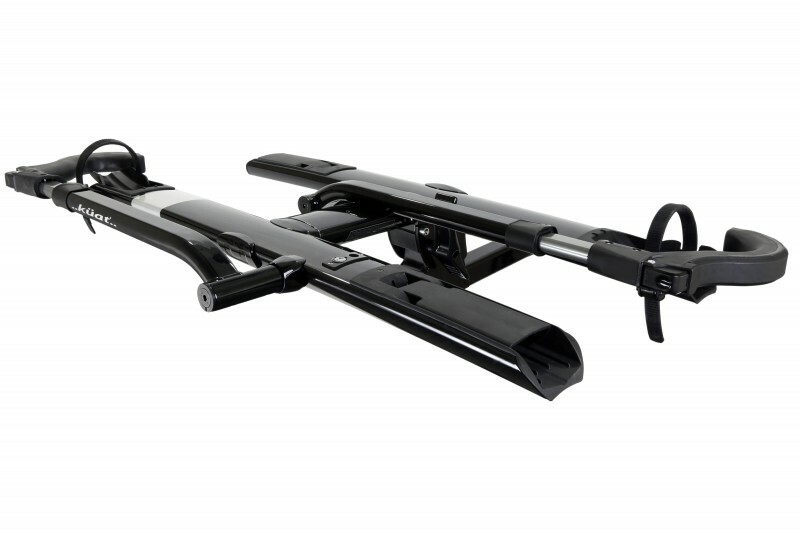 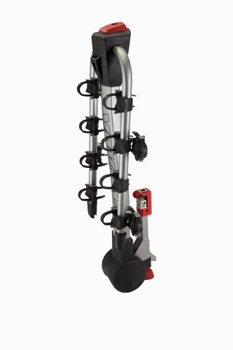 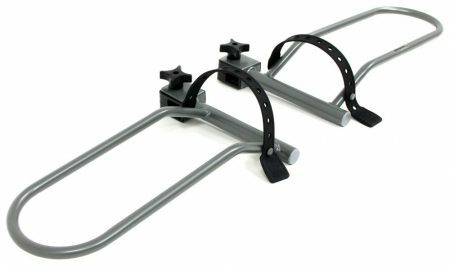 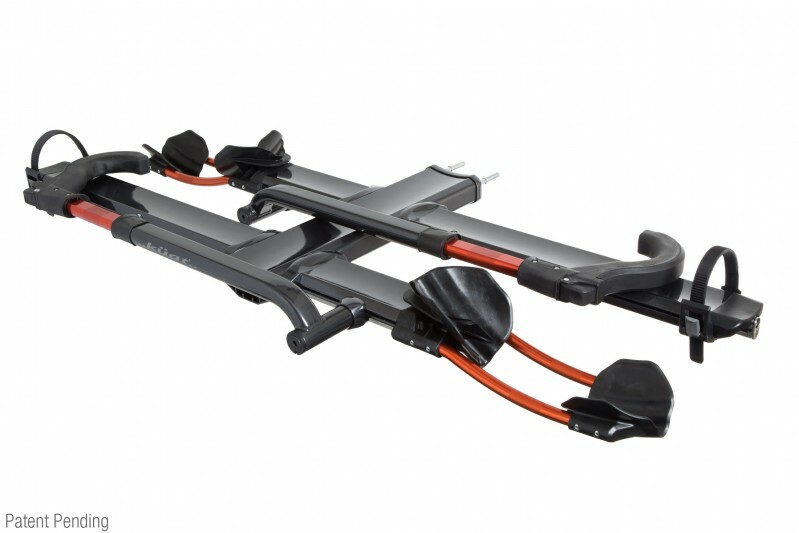 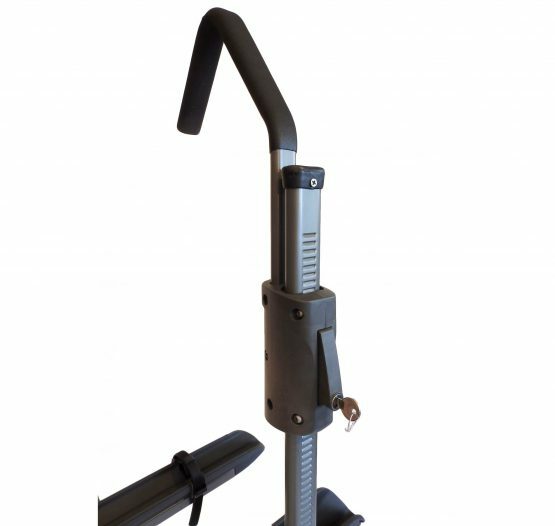 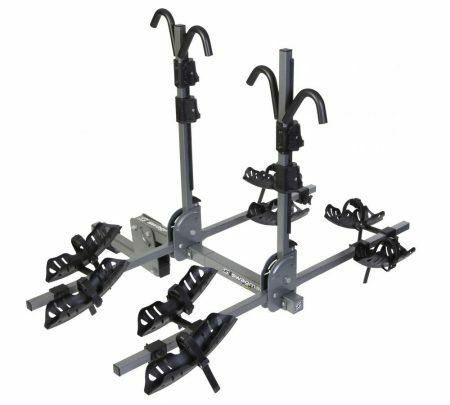 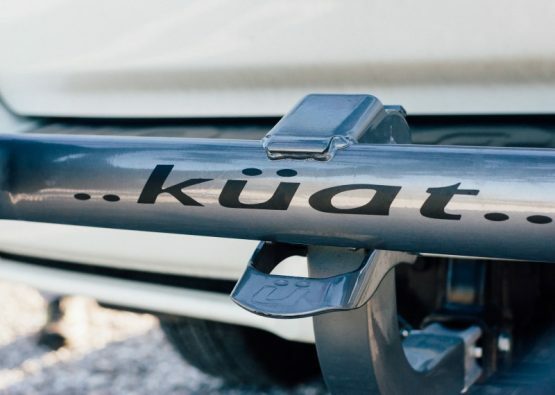 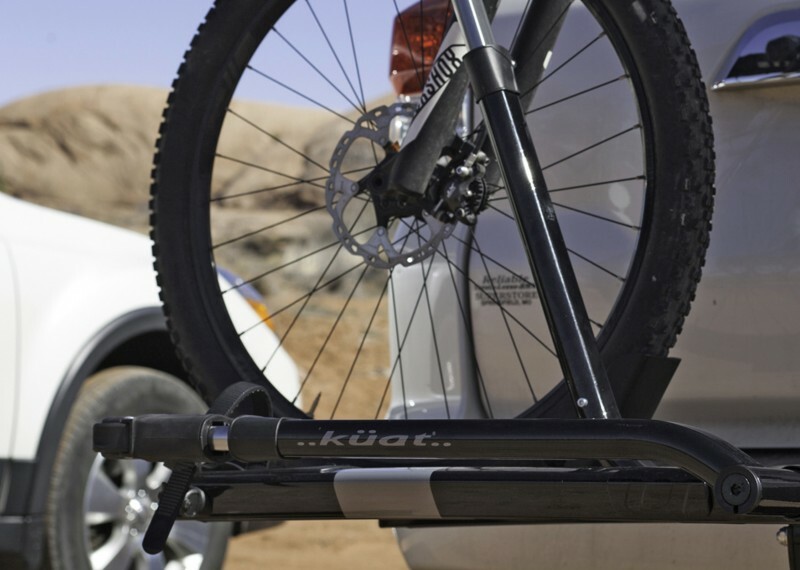 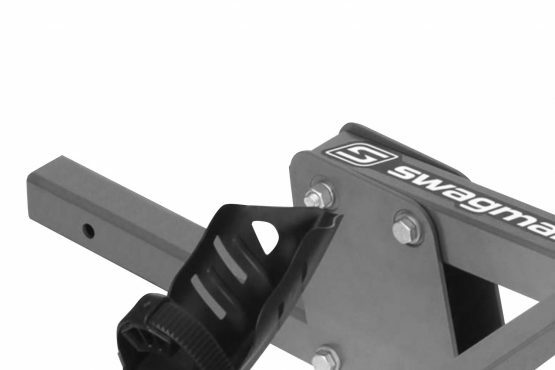 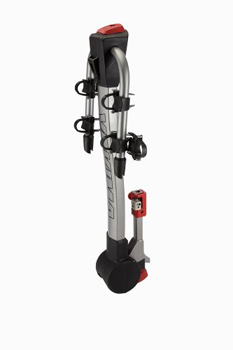 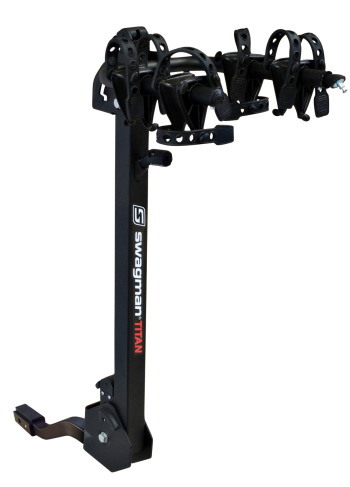 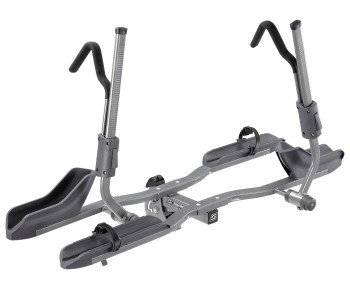 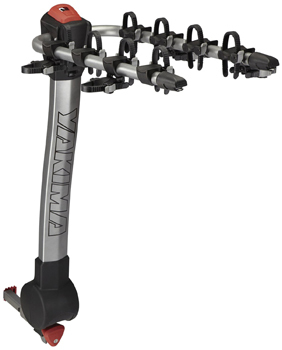 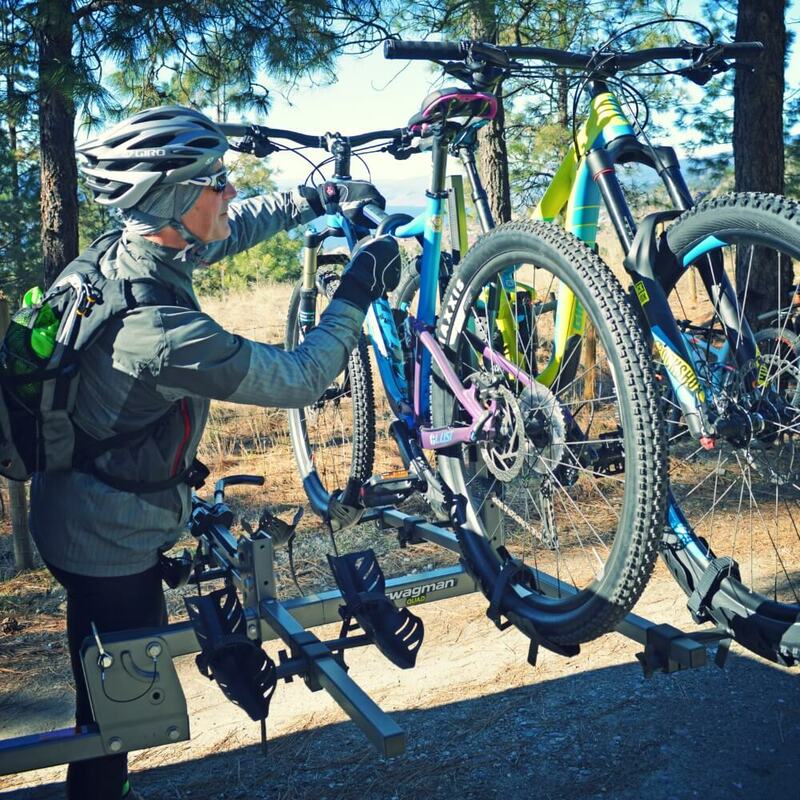 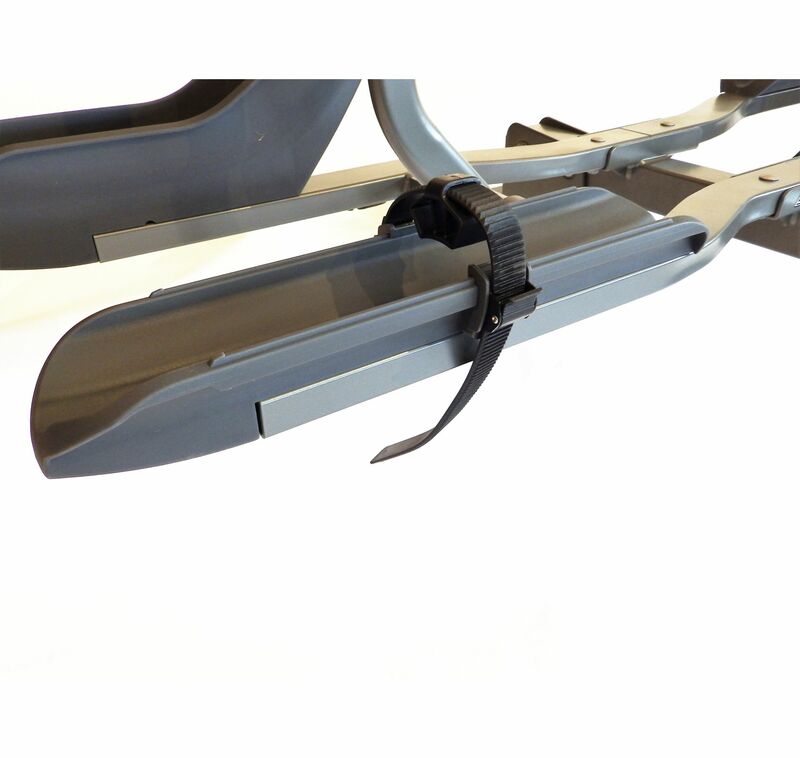 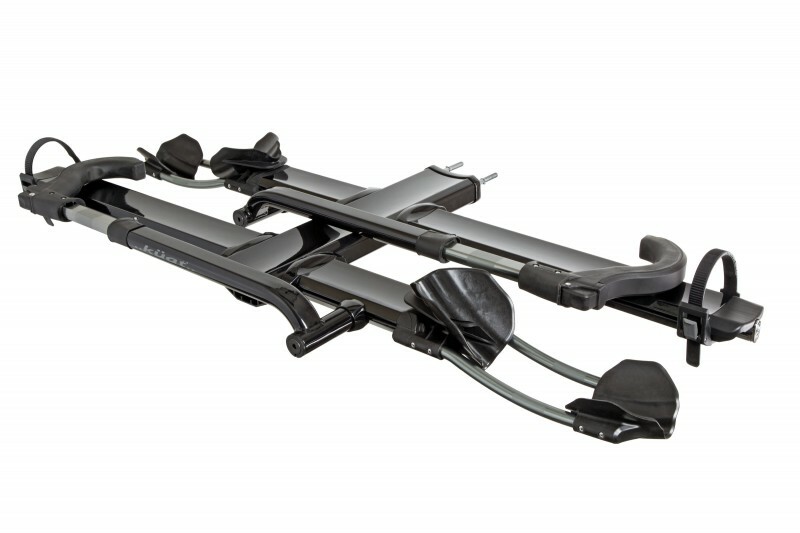 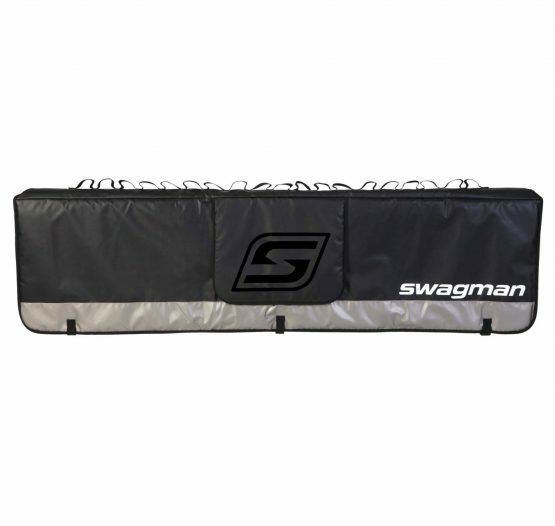 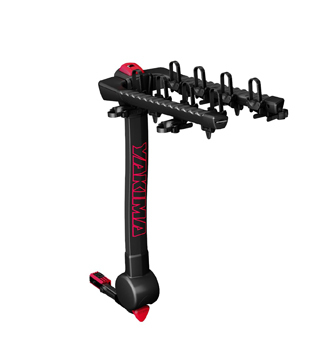 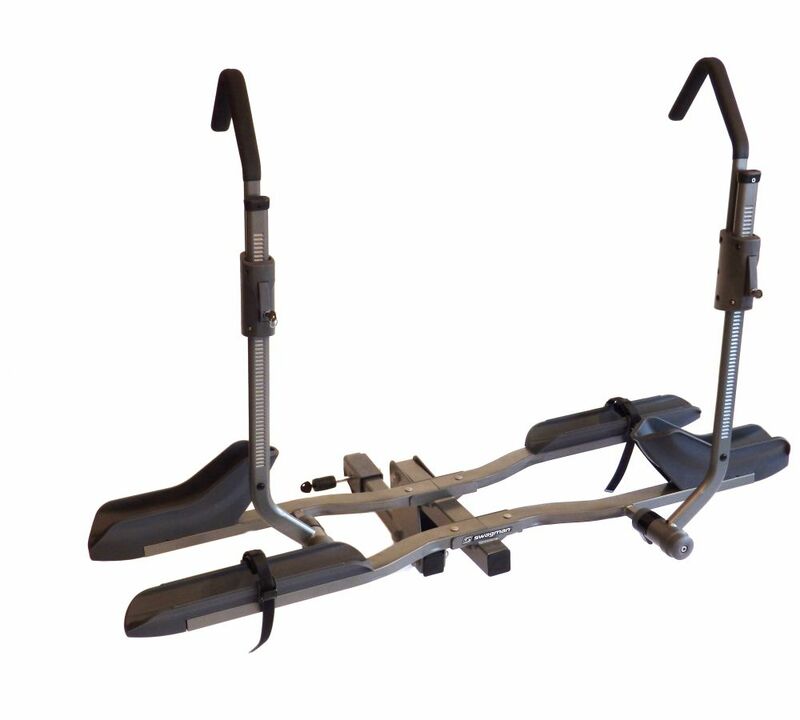 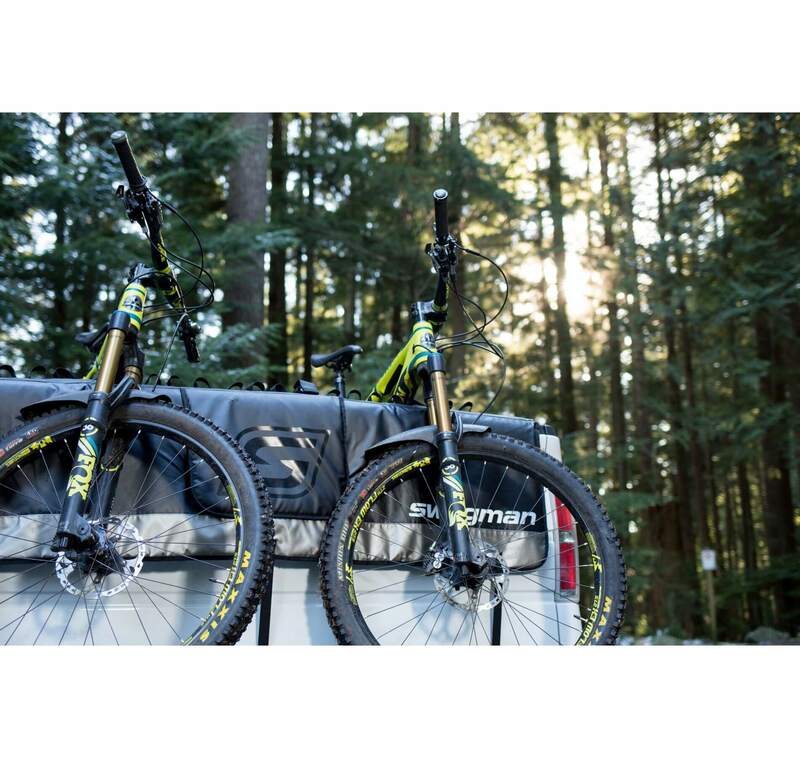 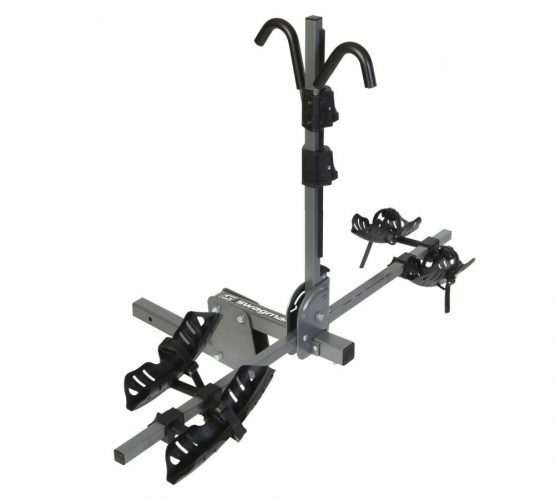 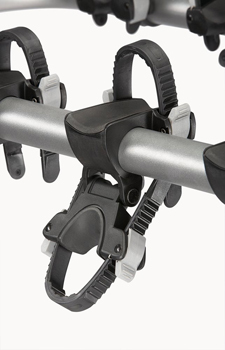 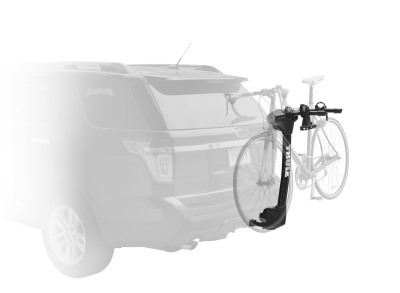 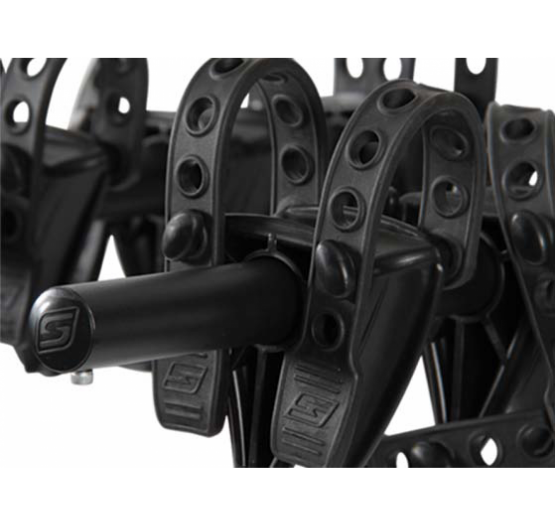 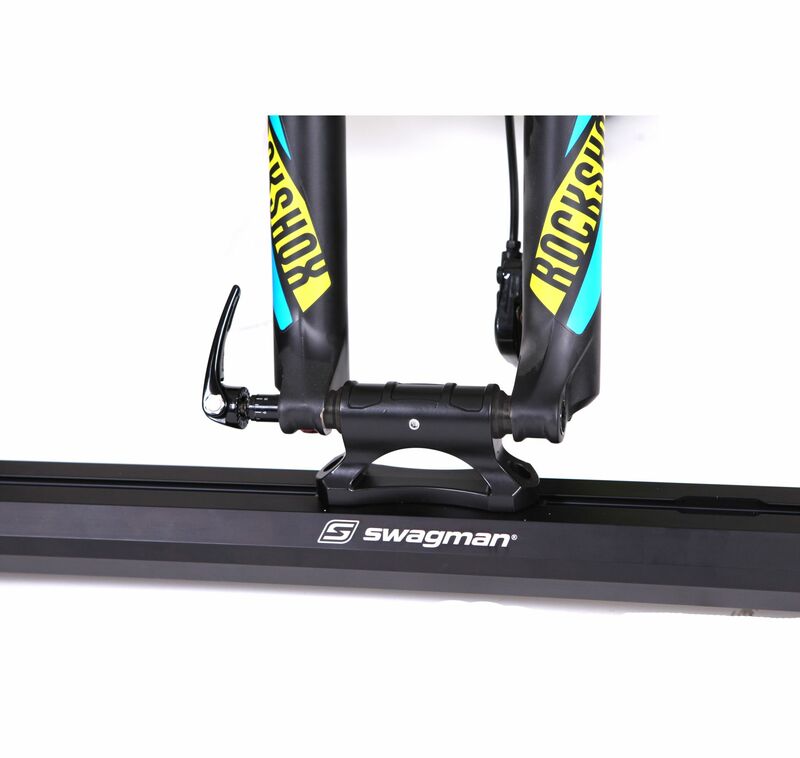 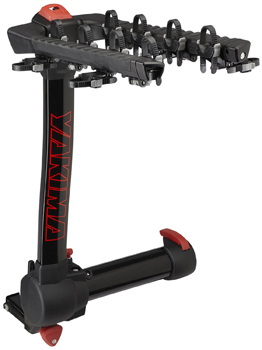 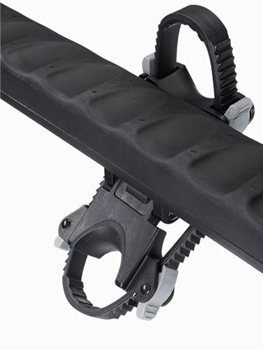 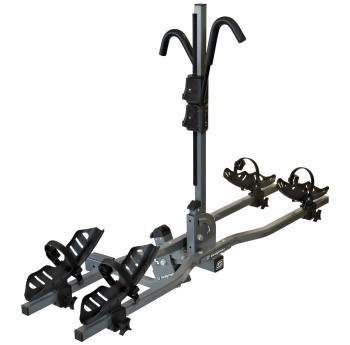 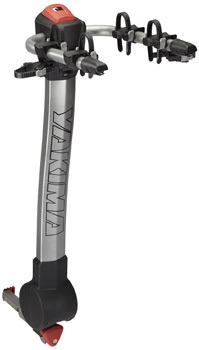 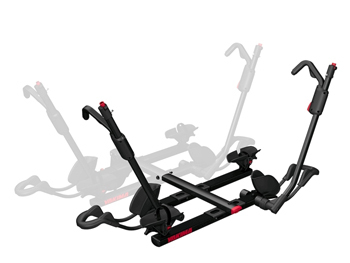 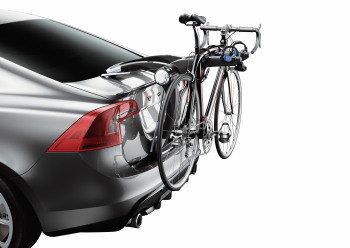 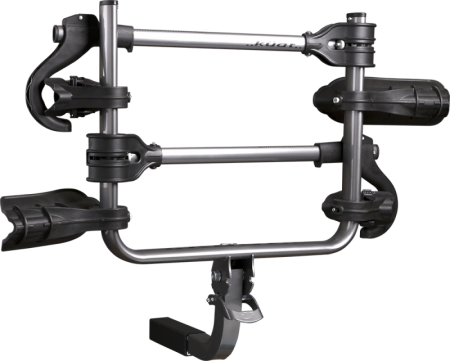 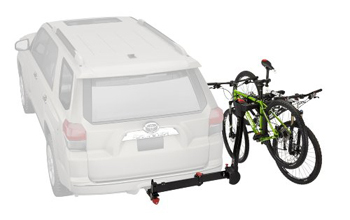 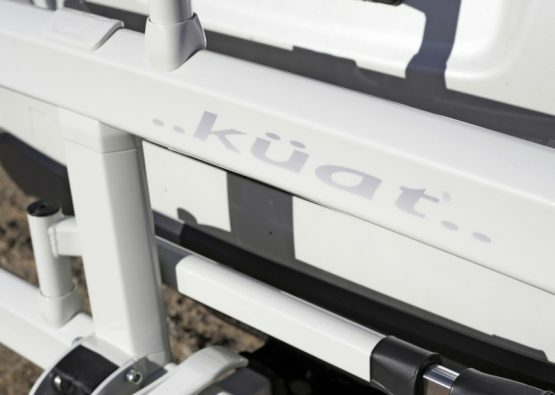 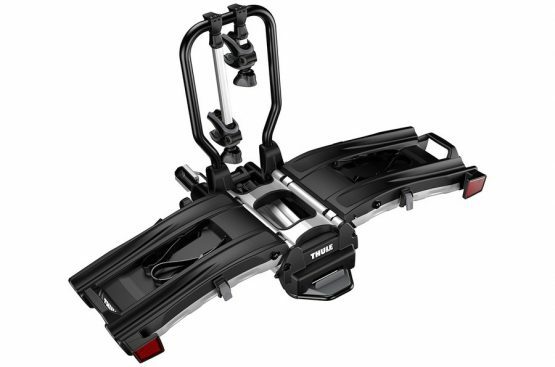 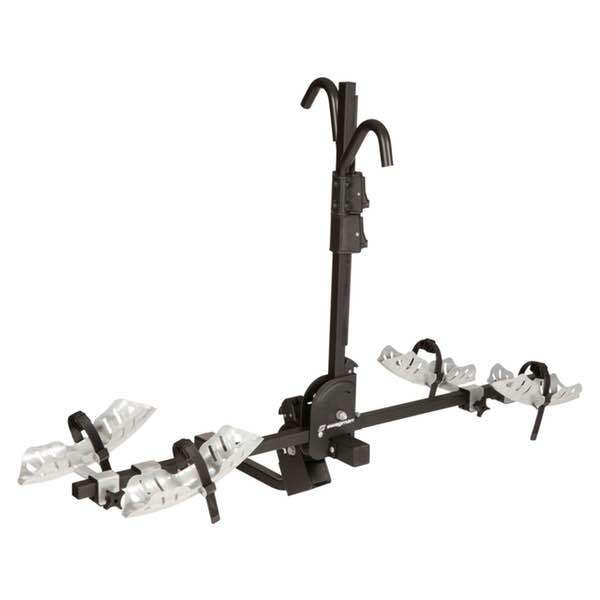 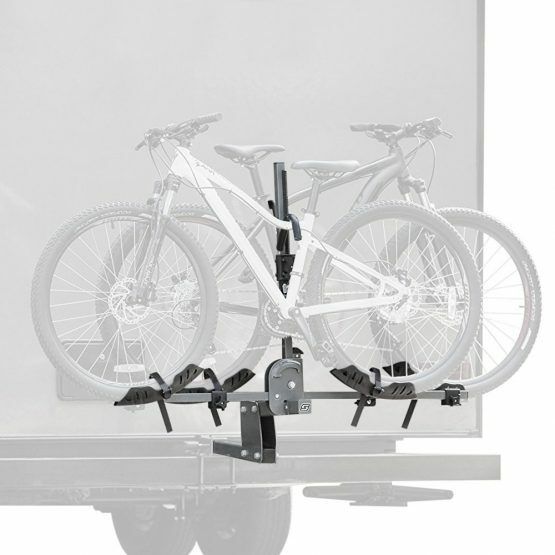 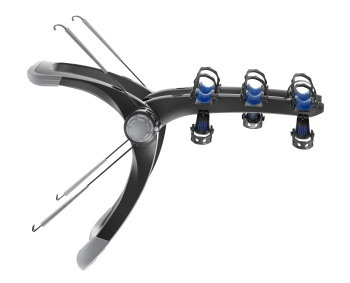 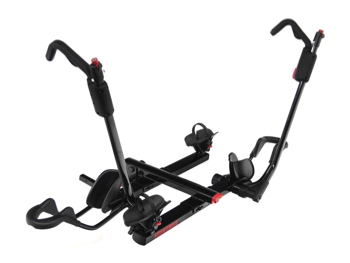 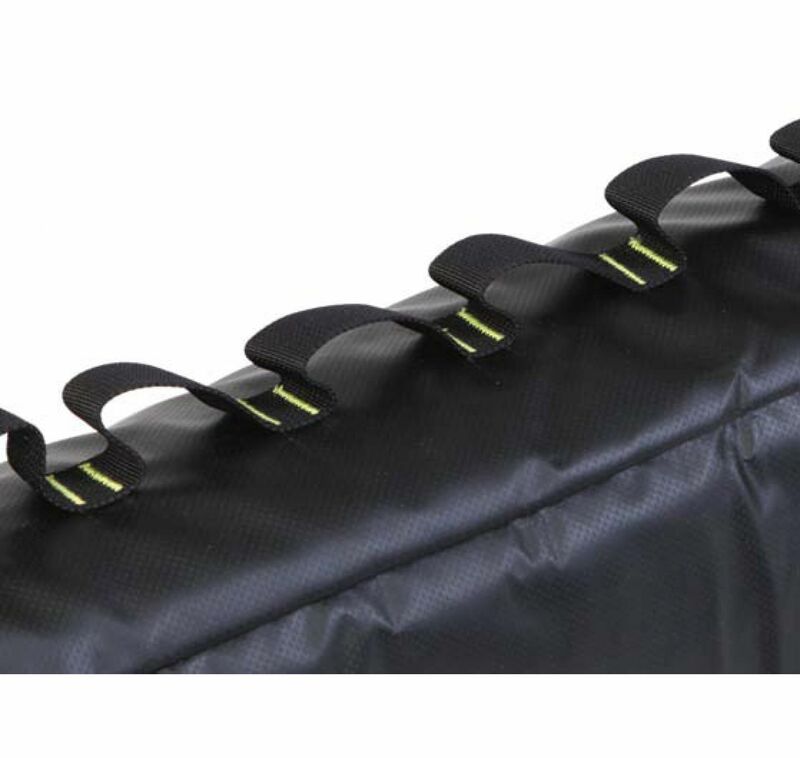 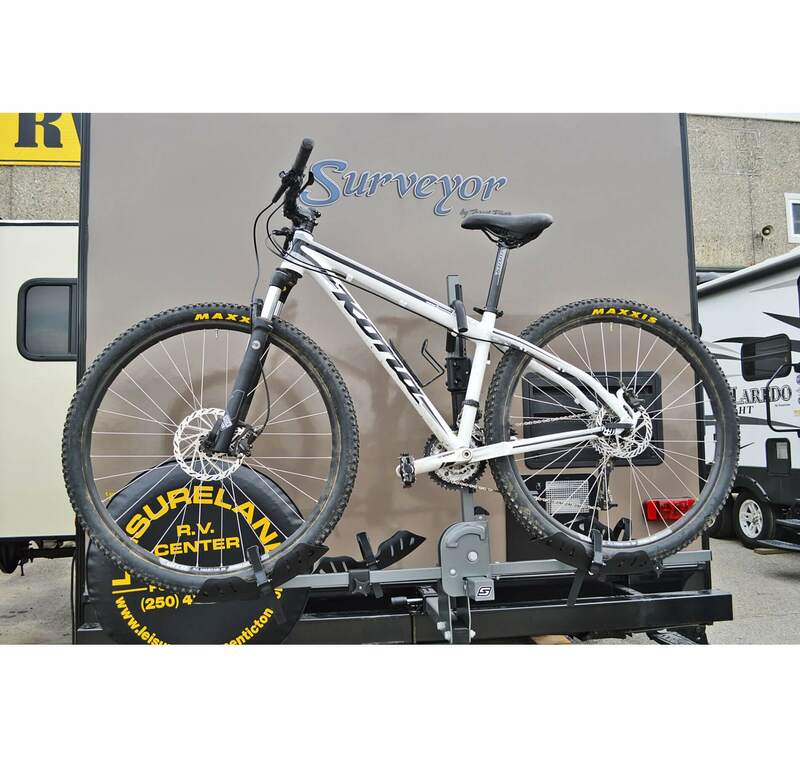 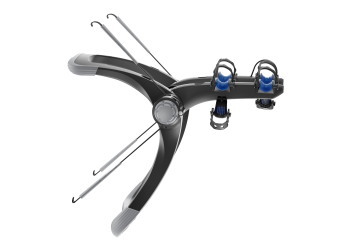 The Swagman “XTC” platform style bike racks are adjustable for any style of bike. 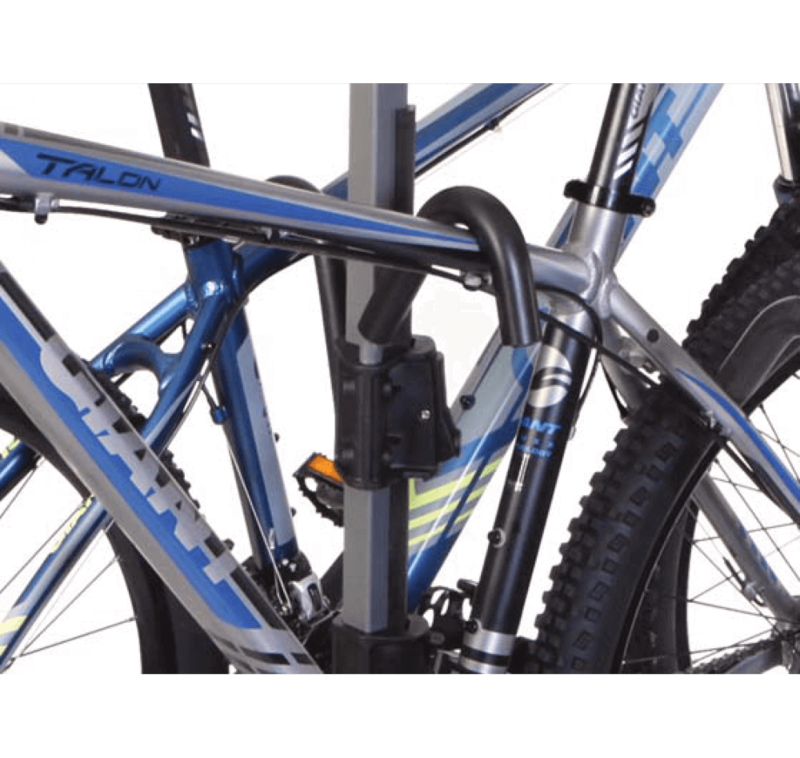 The tires sit in adjustable wheel hoops and a ratchetting hook drops over the frame to hold the bike. 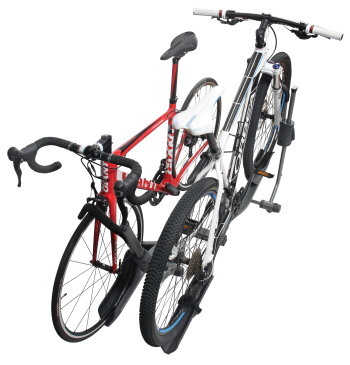 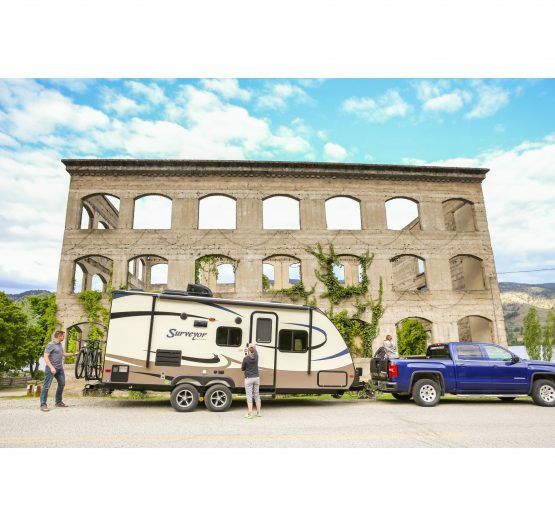 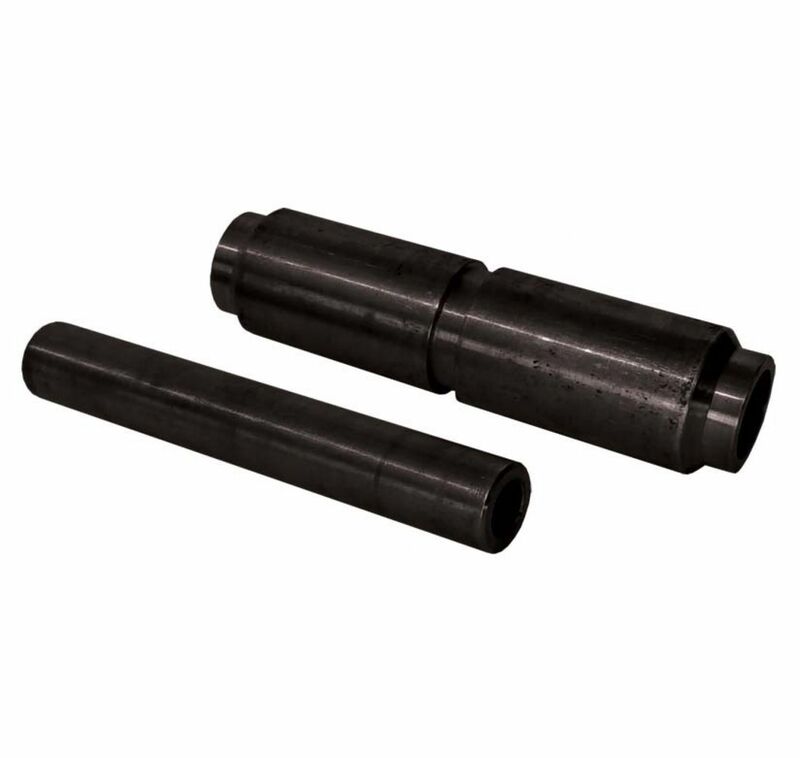 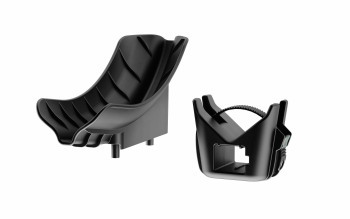 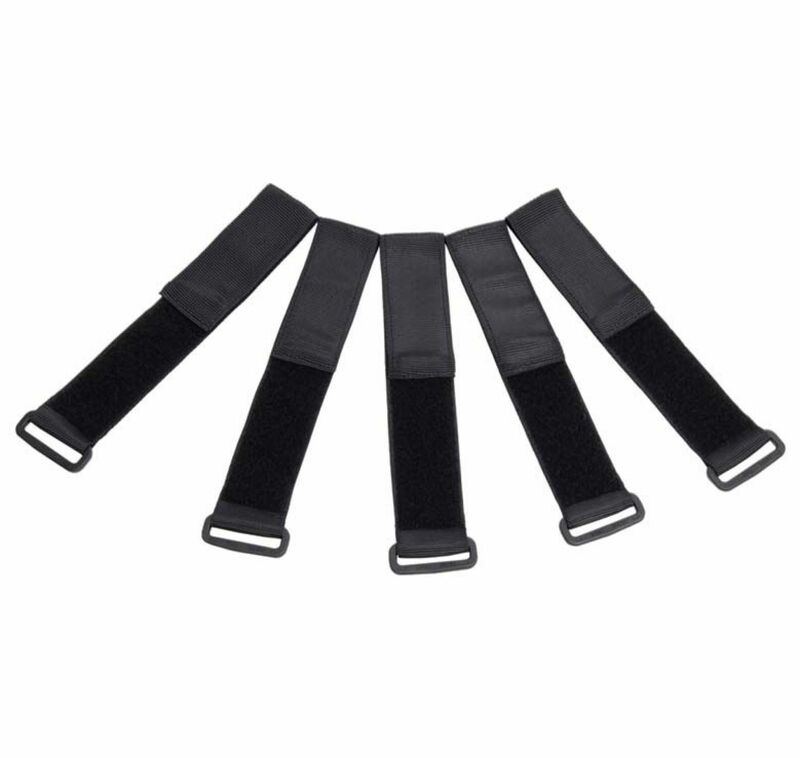 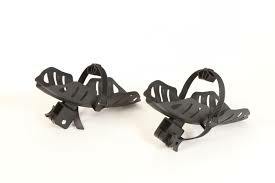 This item is popular with families and downhillers alike. 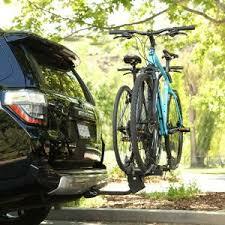 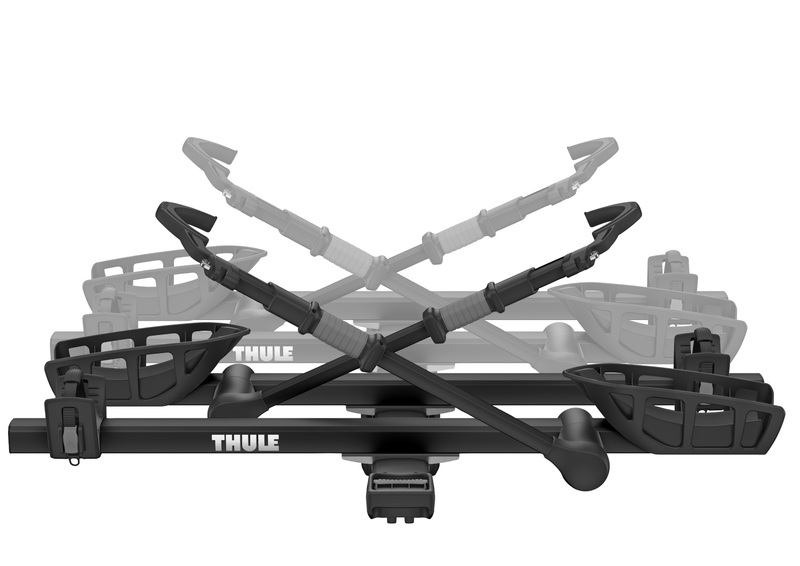 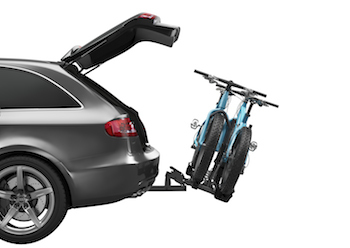 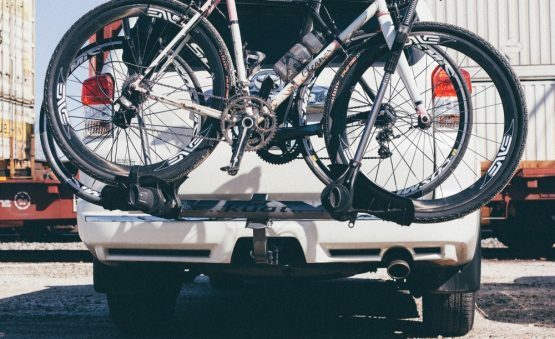 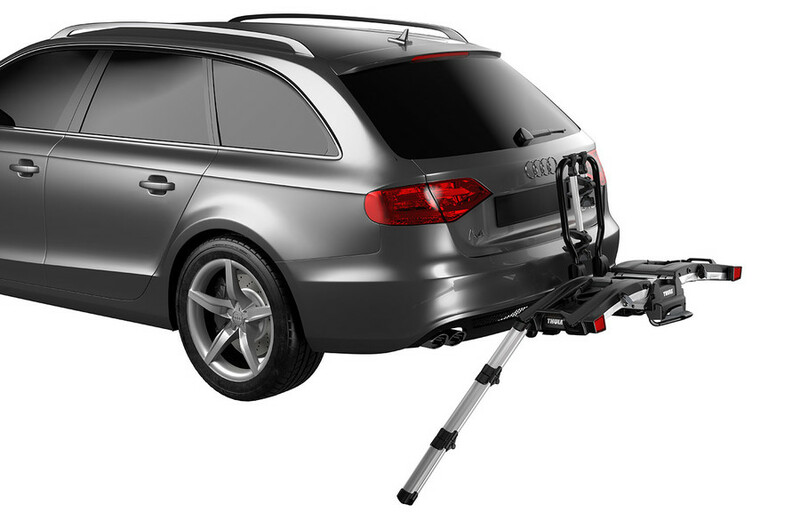 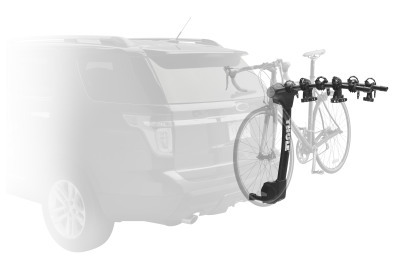 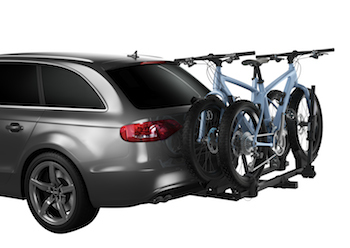 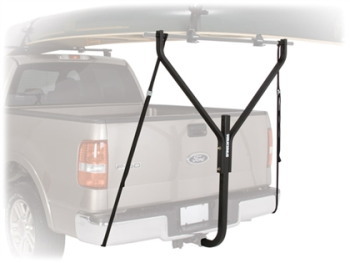 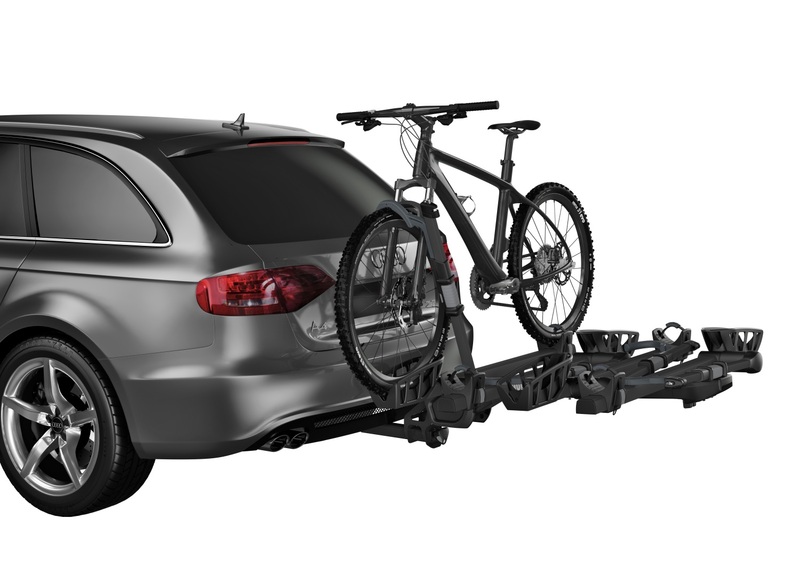 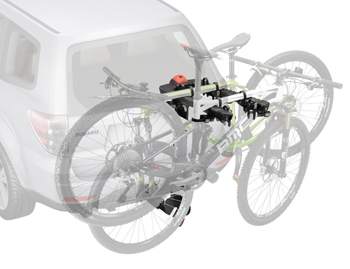 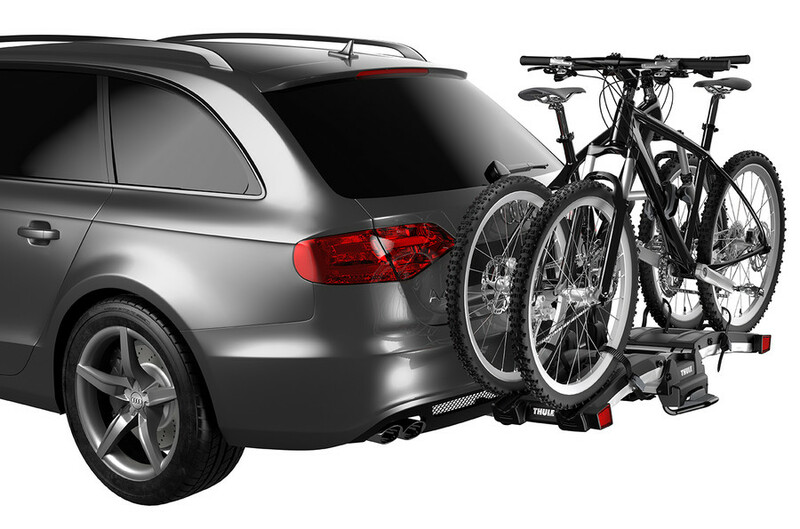 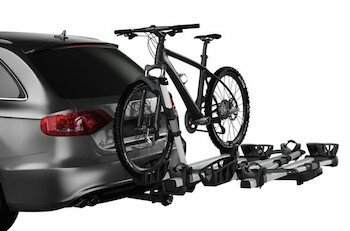 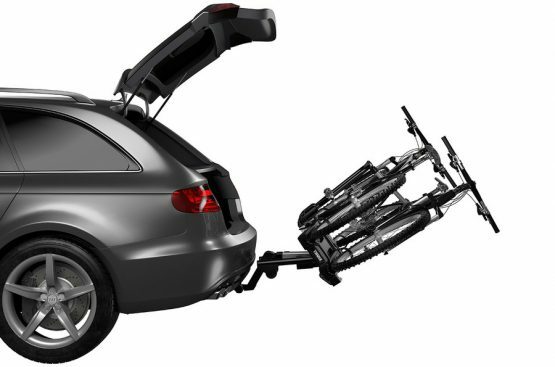 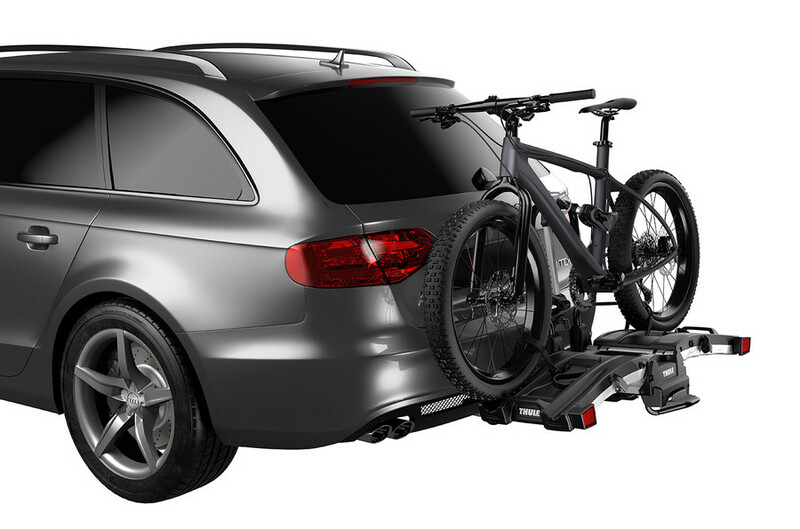 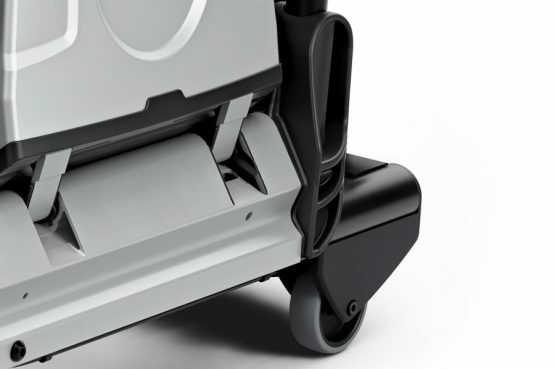 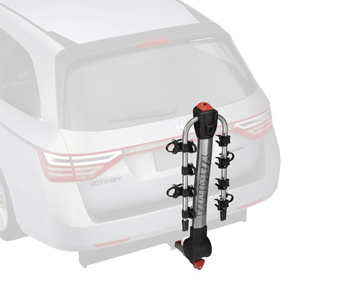 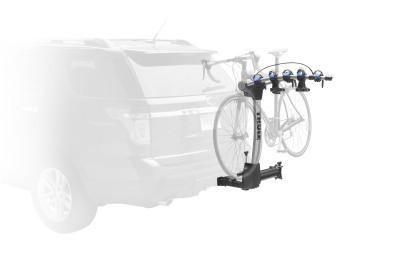 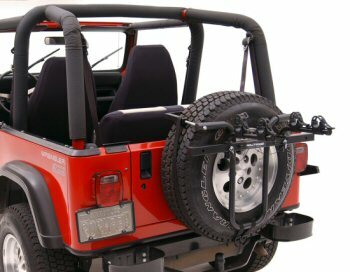 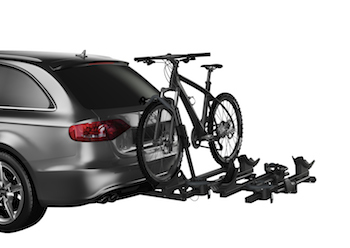 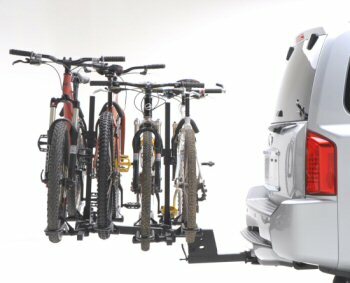 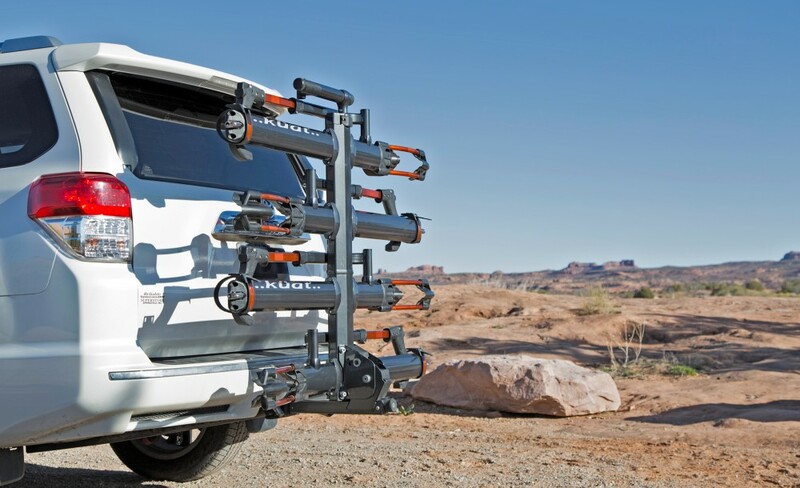 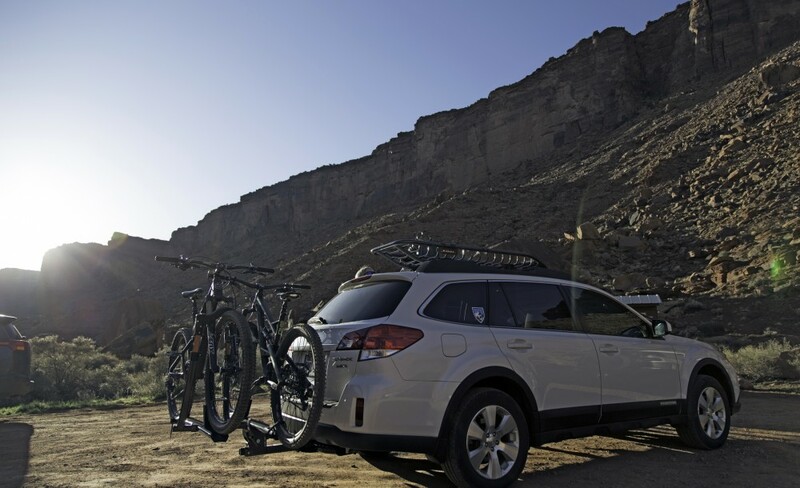 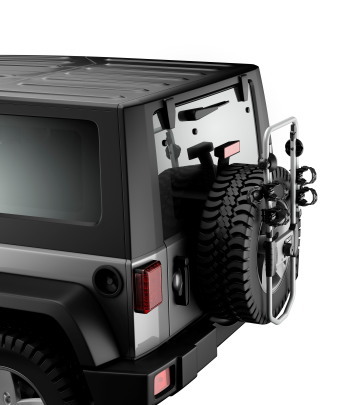 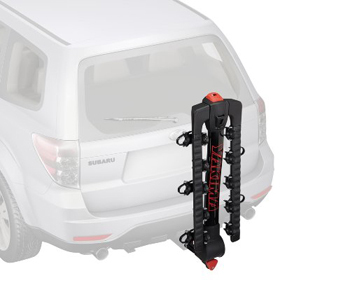 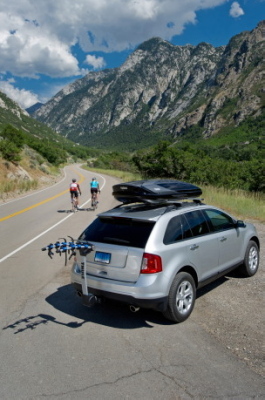 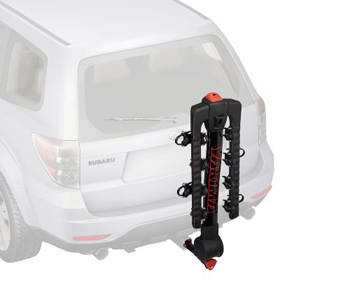 The rack also folds up agianst the vehicle when not in use. 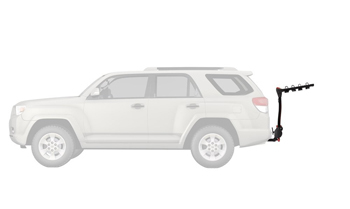 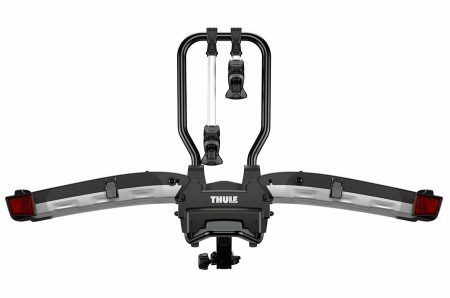 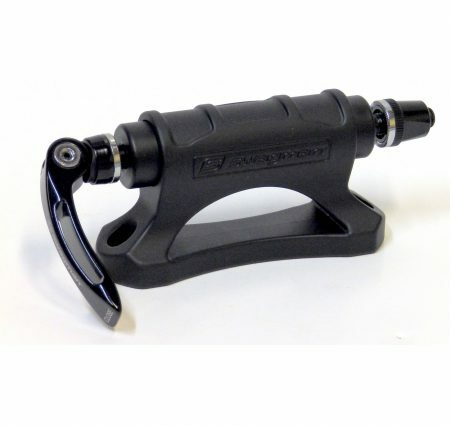 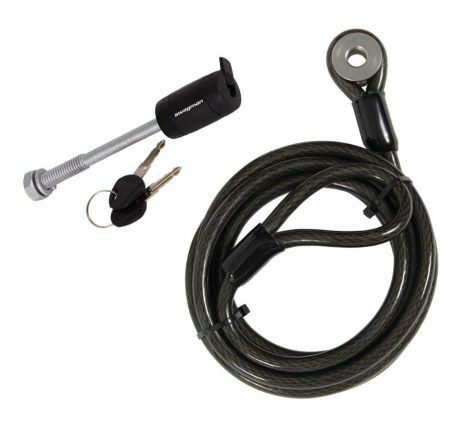 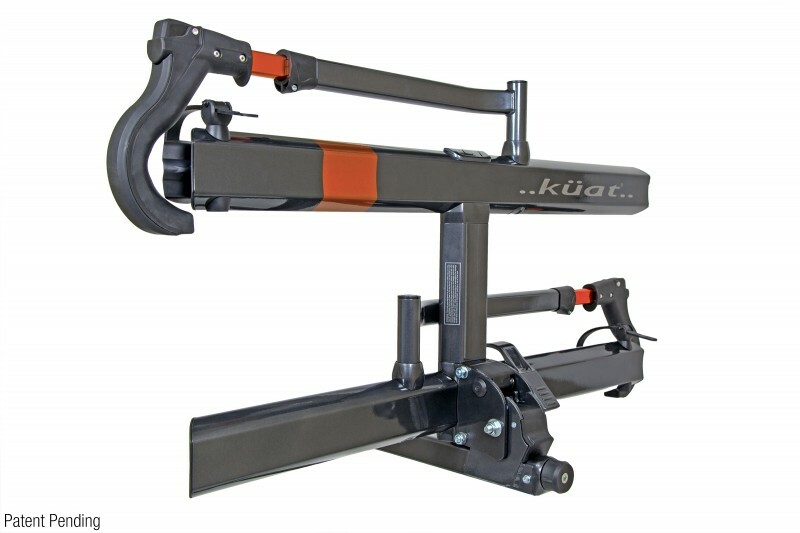 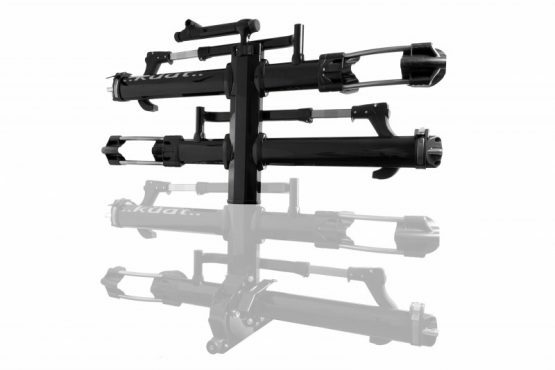 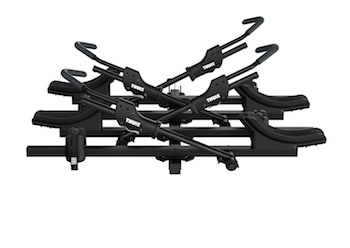 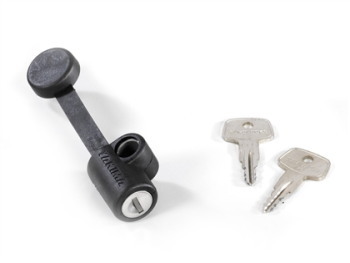 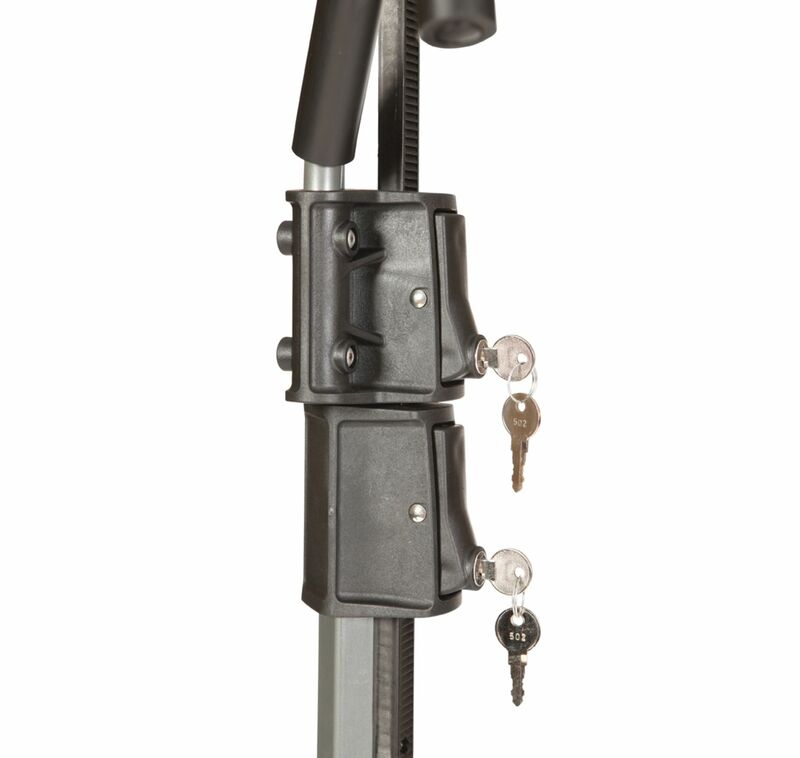 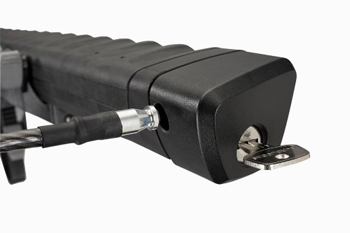 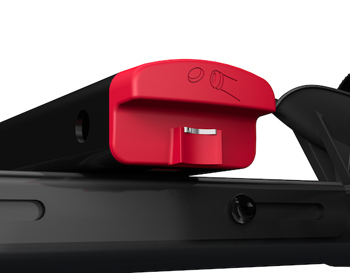 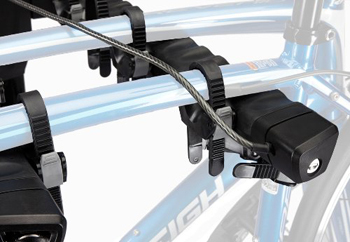 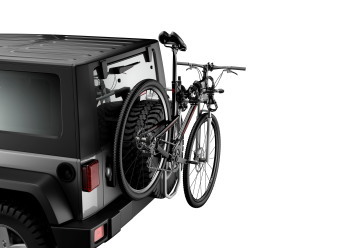 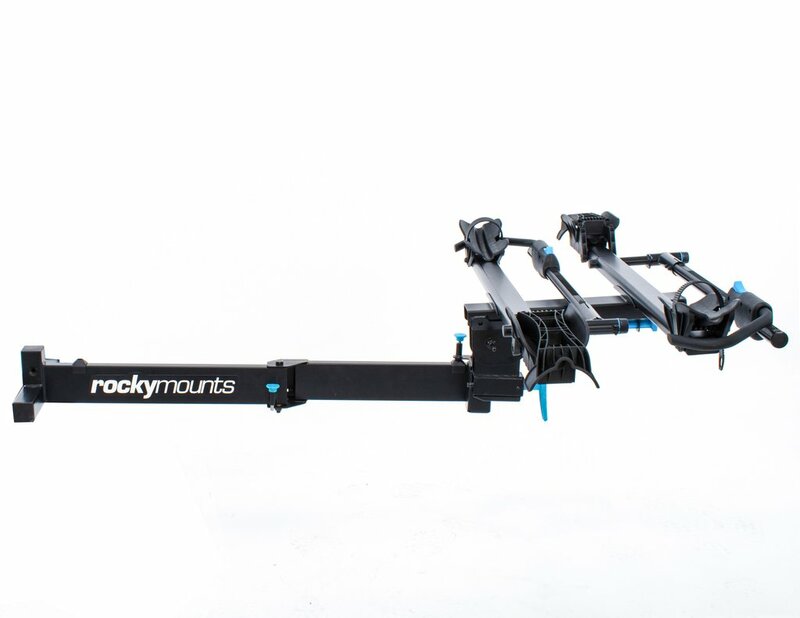 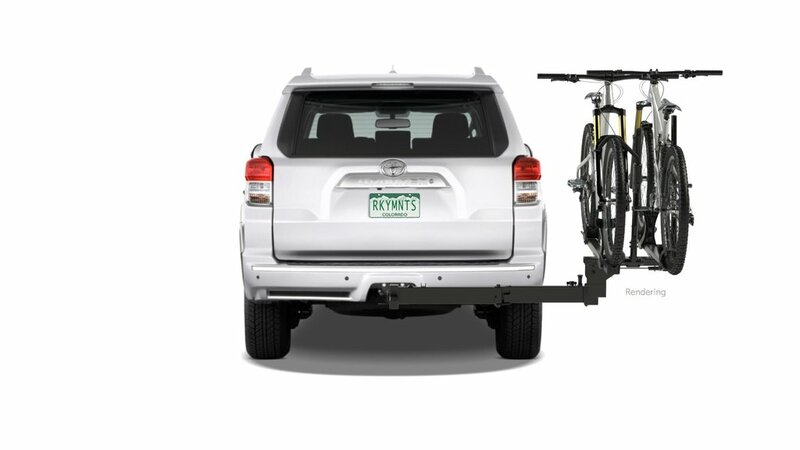 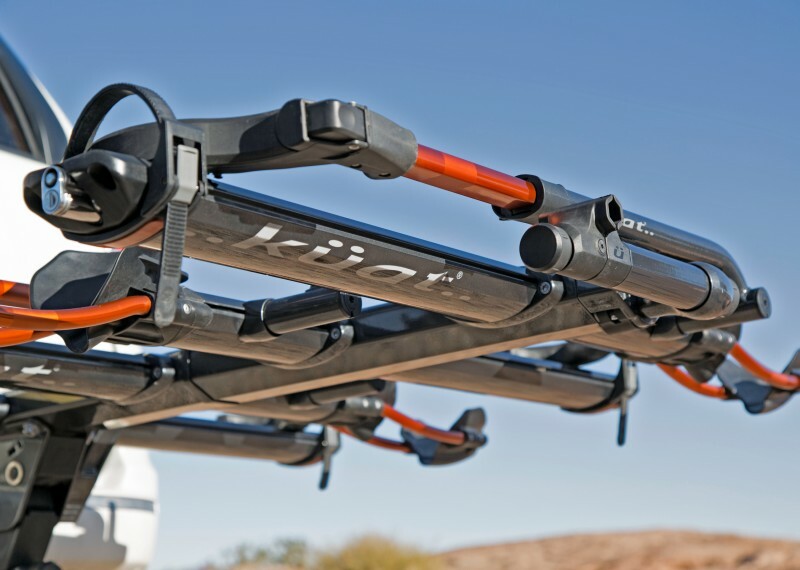 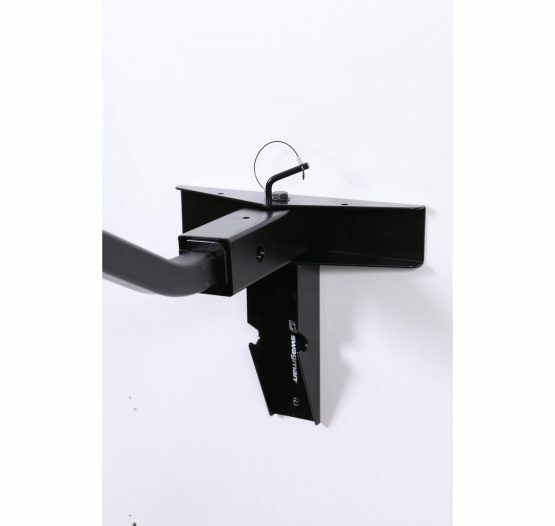 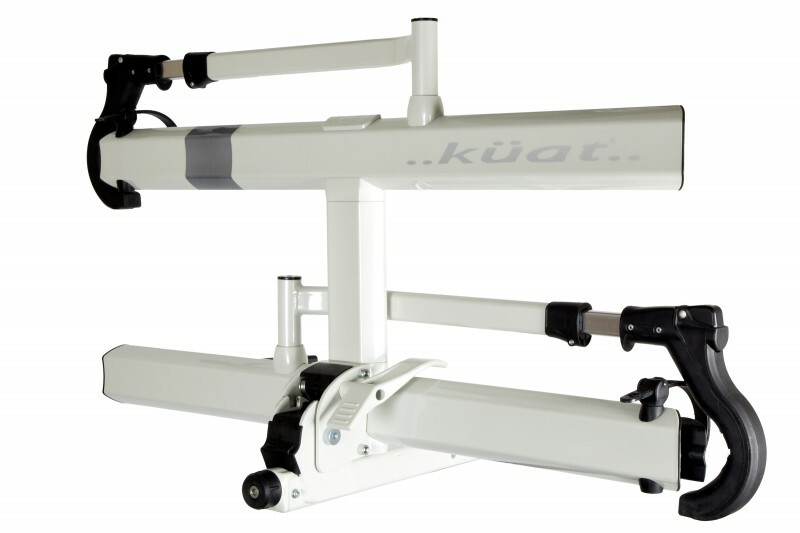 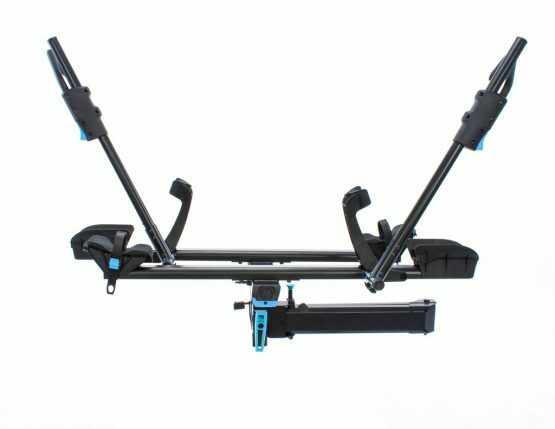 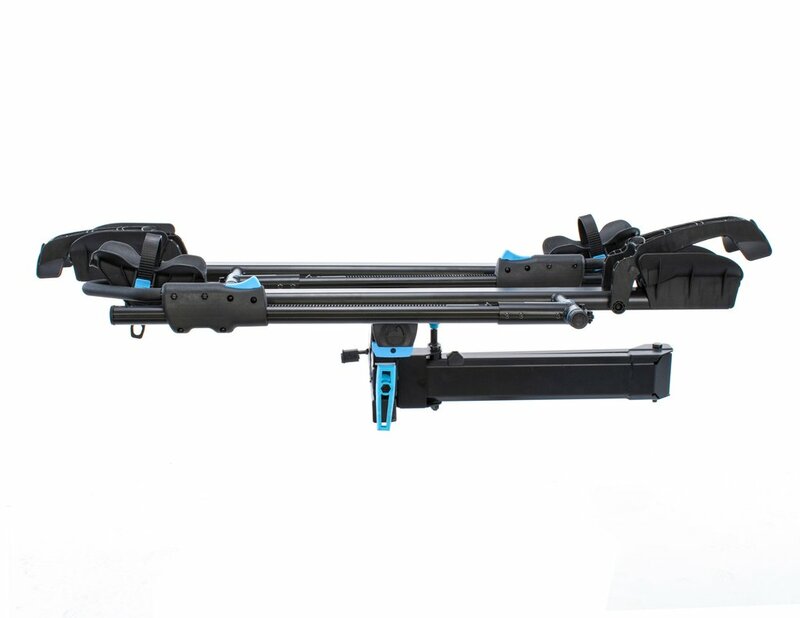 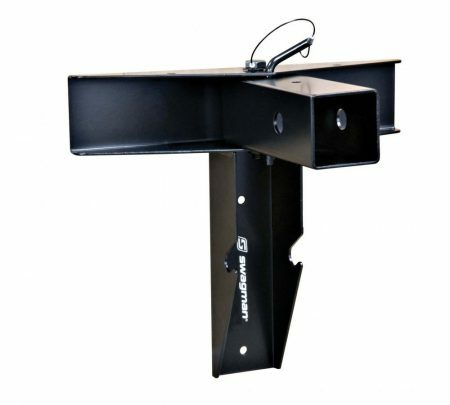 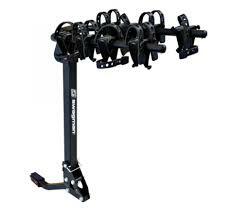 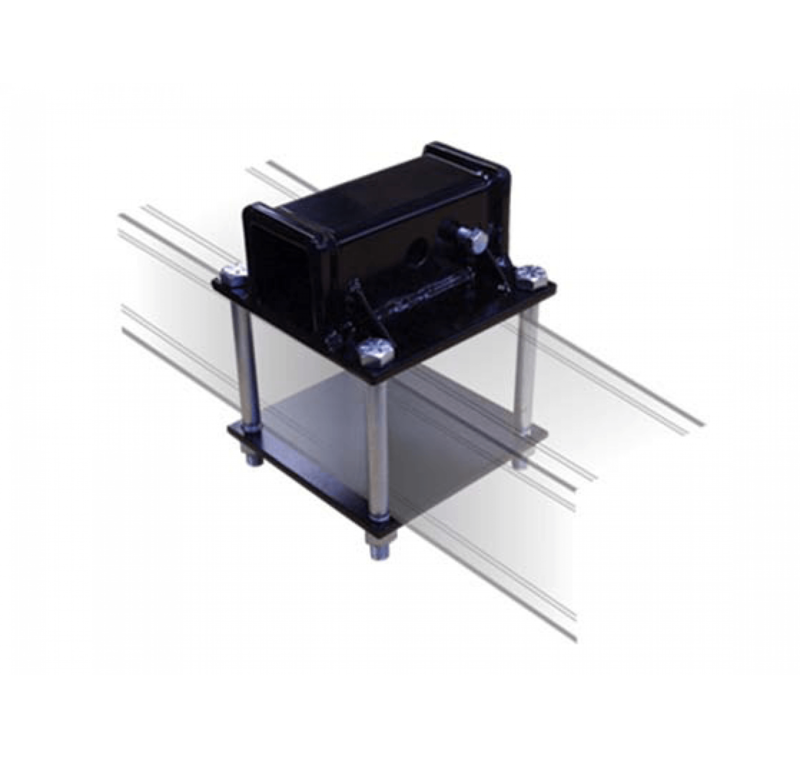 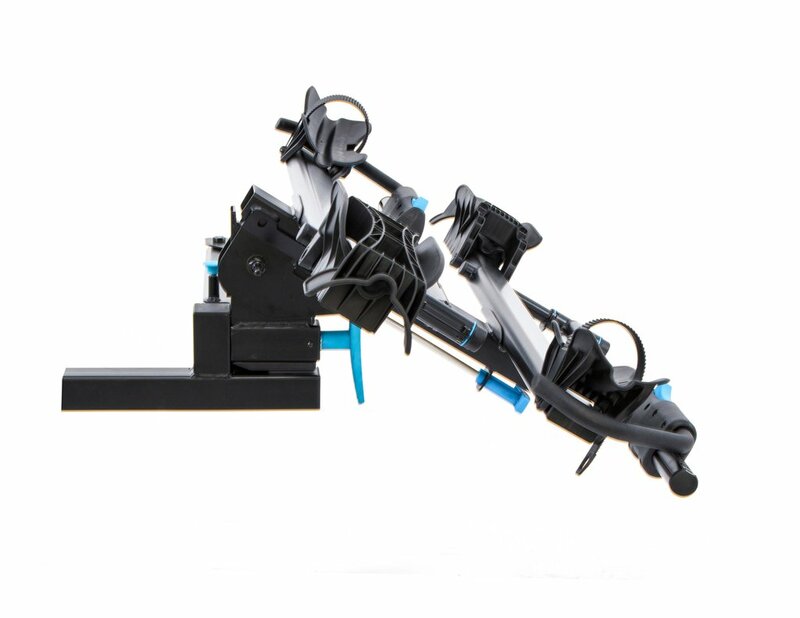 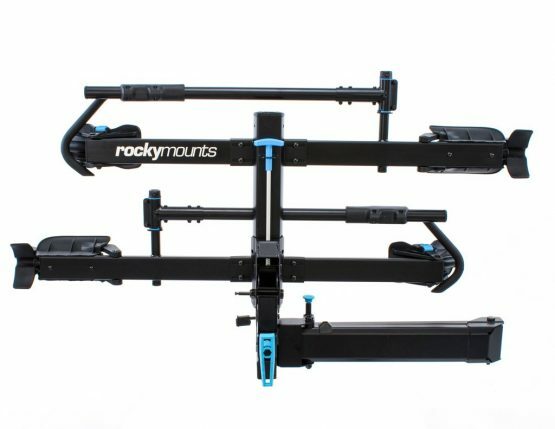 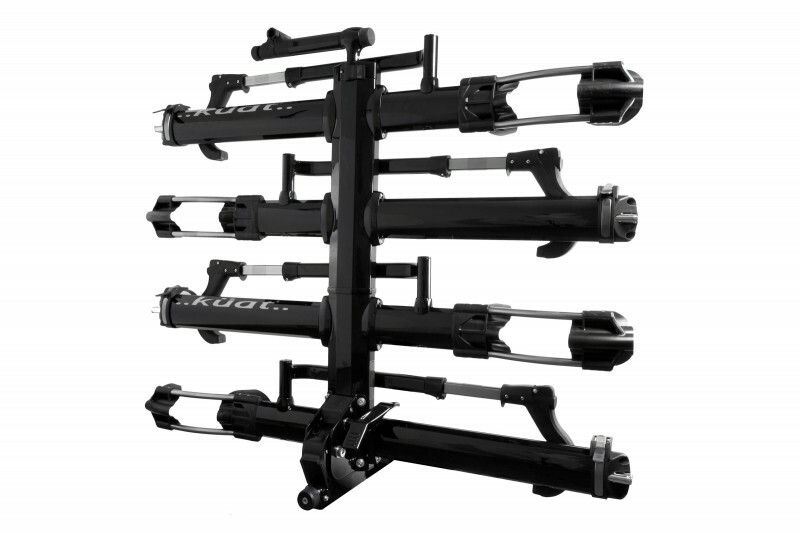 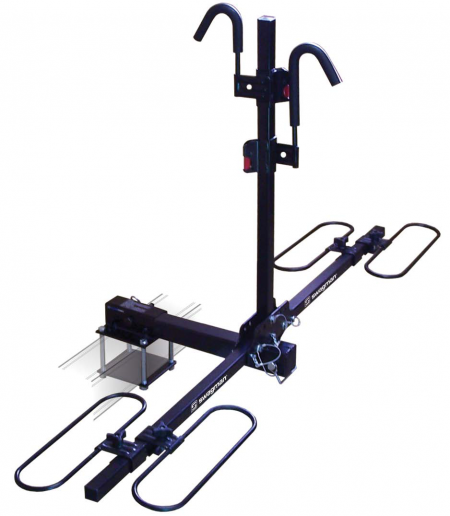 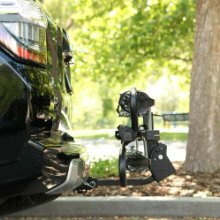 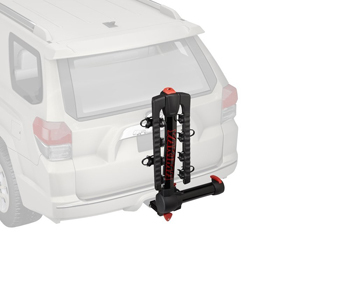 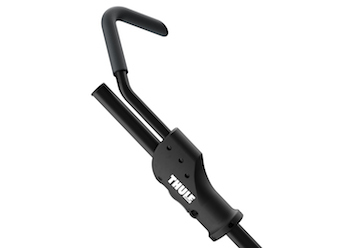 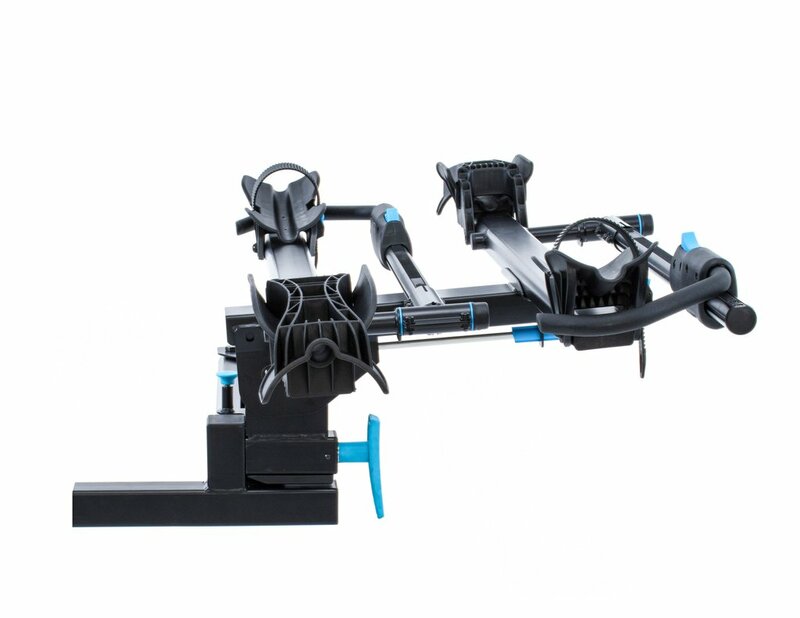 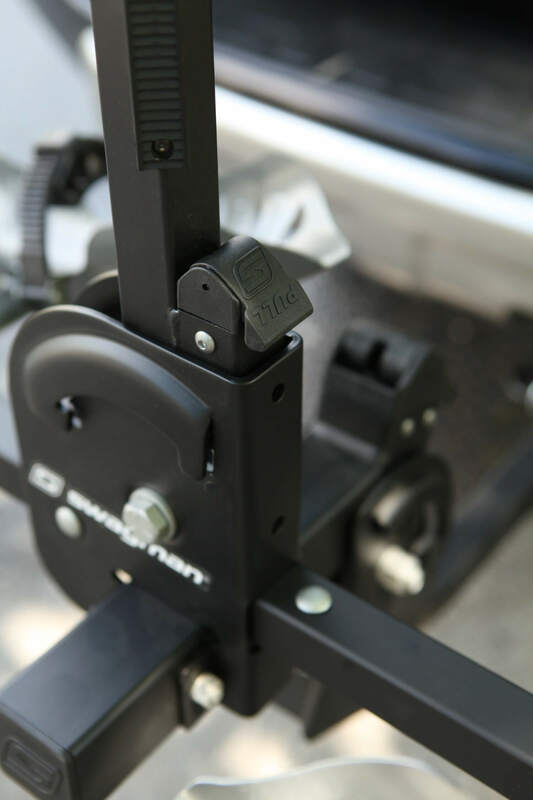 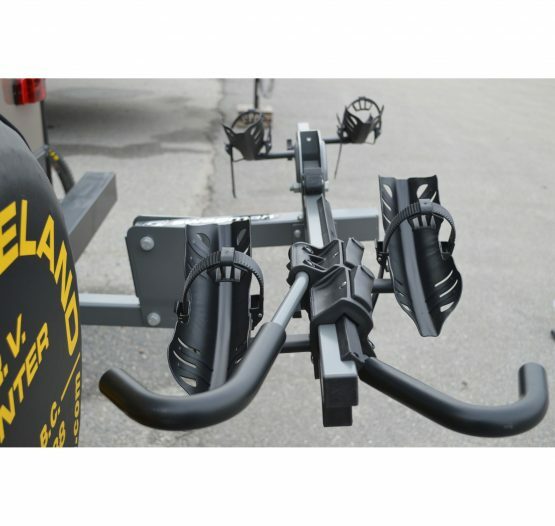 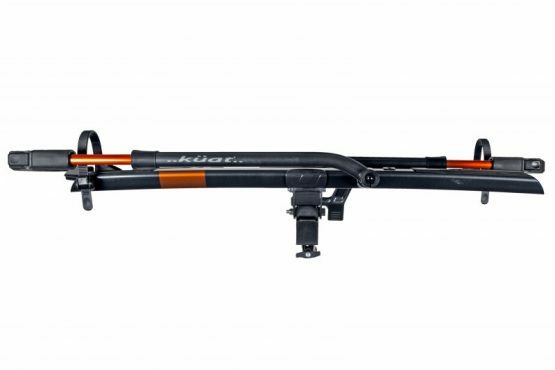 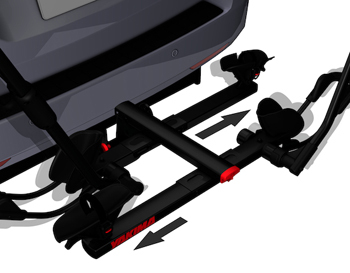 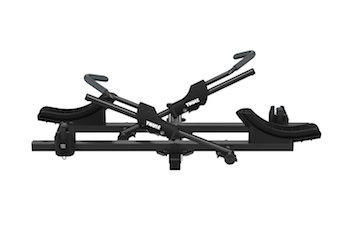 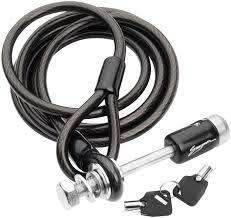 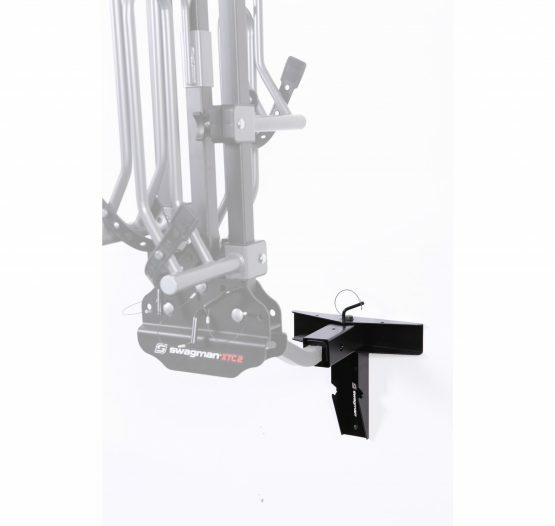 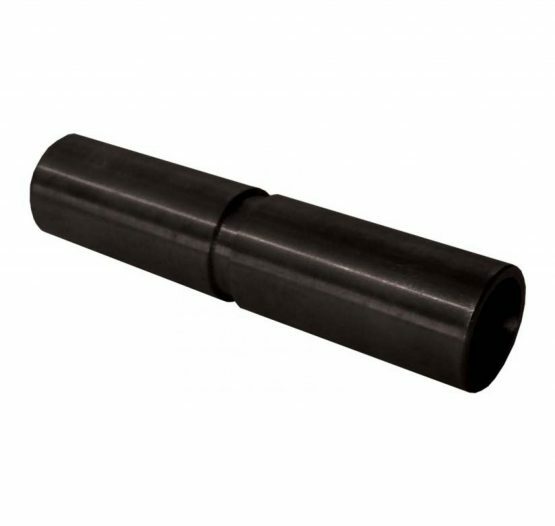 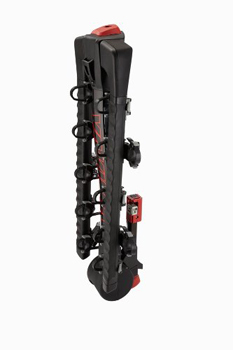 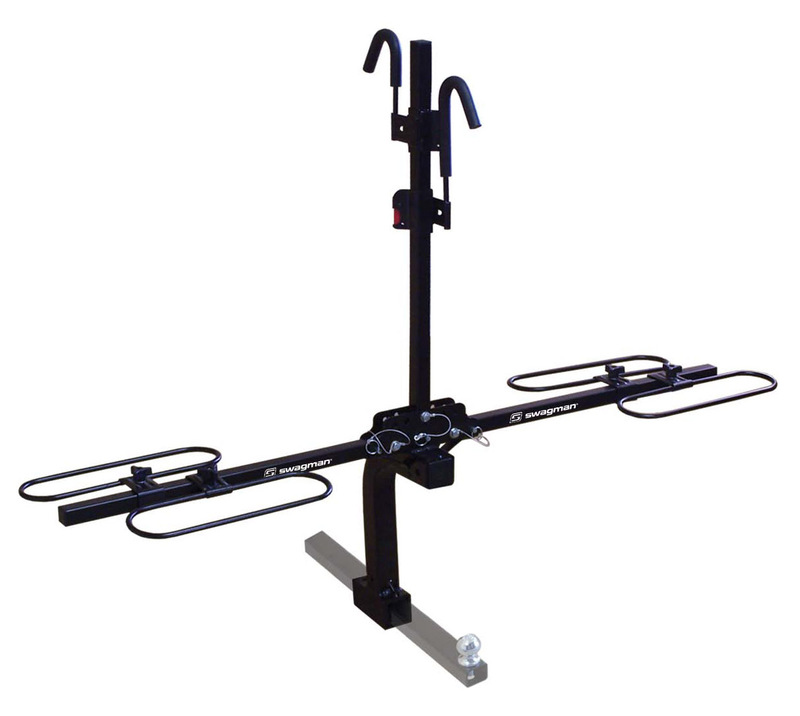 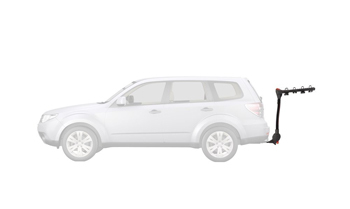 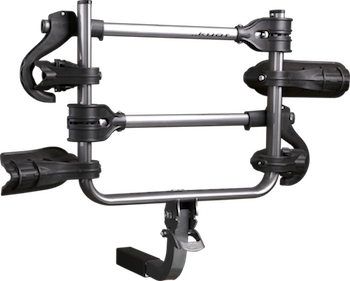 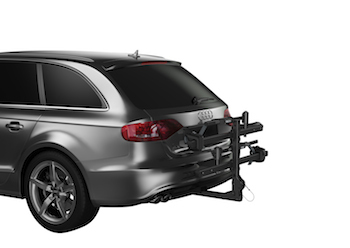 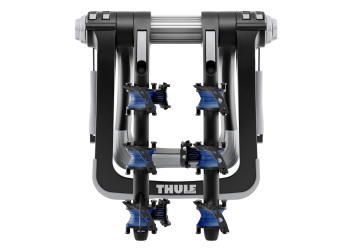 Due to the weight of the rack and bikes this model is only available for a 2″ Class III hitch receiver.